Clifford Chance is the world's largest fully integrated law firm committed to leadership and innovation in legal service. It is a global market leader in all major areas of legal advice and a major element of its strategy is to attract and retain the best people by developing and nurturing the talent that they have. Clifford Chance is committed to delivering the highest levels of legal service. We recognise that achieving this not only relates to the quality of our advice but extends to the way in which we deliver our service, which is why our 'Best Delivery' programme is a critical element of Firm strategy. To support our partners in designing new approaches to matter delivery, we have placed team members across the globe, comprising skill sets including process improvement, project management, commercial management and technology. The role incumbent will be responsible for: implementing the Firm's 'Best Delivery' strategy in their respective offices; determining local priorities; delivering improvement projects locally; implementing effective change management and communications plans; ensuring that new ways of working are transferred effectively to other relevant part of the Firm; and tracking the resulting return on investment. The success of this role will primarily be measured by: feedback from partners; the extent to which the Best Delivery programme yields benefits to our clients and the Firm; and the successful roll-out of new ways of working. In this role, you will be the driving force for changing the way legal services are delivered on your office through the Best Delivery programme. You will take direction from a local Best Delivery sponsoring partner and Office managing partner and you will liaise with global Best Delivery programme group. The role incumbent will be the local expert on the improvement tools and techniques available to change the way legal services are delivered to our clients. You will train others in these tools to expand the number of people capable of using the tools and supporting other to do so. You will also work with global functions to ensure that adequate support models are implemented in your respective office. Building strong relationships with lawyers, engendering trust and being viewed as a trusted advisor. Helping others to use and to support the Best Delivery toolkit on the matters, working with lawyers to understand their requirements, setting up, maintaining and creating the desired output at the pace of client needs. You will work with the local communication function to manage a local communications campaign to help lawyers change the way they deliver legal services to our clients. In addition, you will advise local Business Development teams of how to feature Best Delivery in our local pitches and marketing materials. You will actively promote and implement solutions from other parts of the global network in your respective office. You will maintain a record of all local Best Delivery initiatives, reporting progress on the roll out of Best Delivery to local management and Best Delivery sponsoring partner. As part of this, you will report your progress using a central Best Delivery dashboard, supporting the global programme team to co-ordinate activities globally. The role holder requires an international orientation and mindset and a strong knowledge of the English language to leverage the knowledge and expertise within our firm globally. The role has a requirement for some international travel and may require occasional weekend work (for example, if training courses are scheduled at weekends). The role incumbent should possess the following key skills for this role: process improvement, change management, business analysis, consulting skills, organisational thinking. He/she should be able to demonstrate a consistent level of skill at a competent level and a breadth of experience across a number of projects. The role incumbent would preferably be educated to degree level with a bachelors degree or equivalent. The role incumbent is likely to have come from a professional services environment where he/she would have been involved in change management/client service improvement projects and programmes. Prior experience in a change management projects is essential. The role incumbent should have managed a number of projects from end-to-end. Experience of working in a 'green-field' site and contributing to the roll-out and success of an improvement programme in an organisation would be advantageous. The role incumbent should have experience of delivering training and/or mentoring. 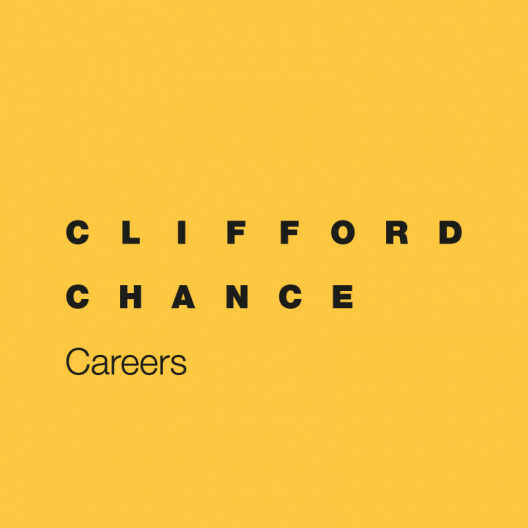 At Clifford Chance, we believe in bringing the client - both internal and external - to the centre of everything we do. To do this we need to understand, anticipate and fulfill the unique needs and expectations of each client. We call this "Client Focus" and to help deliver this core part of our business strategy, we want to recruit people who not only excel in their field but who are also client focused. Are reliable and responsive, who can put the needs of the client first. In short, we are looking for people who are motivated by client satisfaction and who strive to exceed the expectations of their clients. We believe in equality of opportunity for all job applicants and employees regardless of gender, marital status, race, colour, nationality, ethnicity or origin, disability, creed or religion, sexual orientation or age. If you are interested, please upload your CV and cover letter.